To avoid SPOILERS and leaks of plot details, the fiftieth anniversary episode of Doctor Who will air simultaneously across the world. The BBC made the announcement today. “It’s always been our ambition to work with our broadcast partners so that international Doctor Who fans can enjoy the 50th-anniversary special at the same time as the UK. We’ll have more details soon about our very exciting global plans for November,” said BBC Worldwide in a statement. 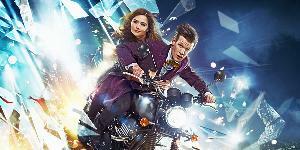 The special, which will feature a reunion of at least two Doctors, will air on Saturday, November 23. The special will be broadcast in 2D and 3D. Producer Steven Moffat revealed last week that the special will be a feature length one and that fans shouldn’t believe all the details they’ve heard confirmed or denied due to the fact that he lies. Fans at San Diego Comic Con got to see a preview of the episode, which has upset fans in the UK. 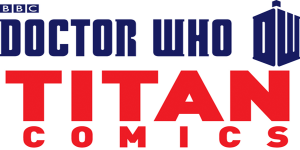 The episode starring all the Doctors over the last half century will be featured in this mega-global event that will be shown in over 200 countries across the planet with an expected viewing audience of well over 100 million all at the same time. All the companions, such as Sarah Jane, Rose Tyler, Amy Pond et. al. will be featured as well as another look at the mysterious time traveling John Hurt. Viewing times will be 8PM in the UK, 12 Noon in Los Angeles and 7AM on the 24th in Australia. Set your clocks accordingly depending on your timezone based on this broadcasting time information. I also recommend setting your DVR or other recording device – just in case. 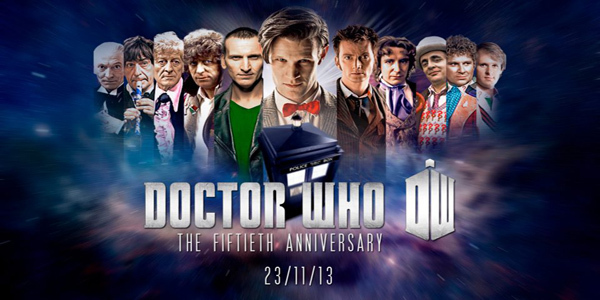 Also this special event will see an added feature for UK Whovians. It will be screened in theaters across Great Britain. Now another bit of Doctor Who news. The Sun is reporting that the actor set to replace Matt Smith as the new and 12th Doctor will be announced in August.